Personally, if you can start a business for free you are already on a winner, so the point should be, is it worth it? Before considering joining any opportunity regardless if it is free or not, we should make a list of what we want from a business. What sort of person are we and what type of products will suit our mindset, but most importantly is there a need for the product and can we make money from it. I know from my own experience, I have joined businesses that I felt would be great from me, but later found that it was a hard sale and even though at the end of the day I successful marketed the product, I felt I would have made a better choice in the future. However, a online MLM business without investment was interesting prospect. I had and have an existing project that is given me a residue income and the time and energy to pursue another. So, here is the opportunity to learn more with the knowledge it will not cost you anything apart from time. 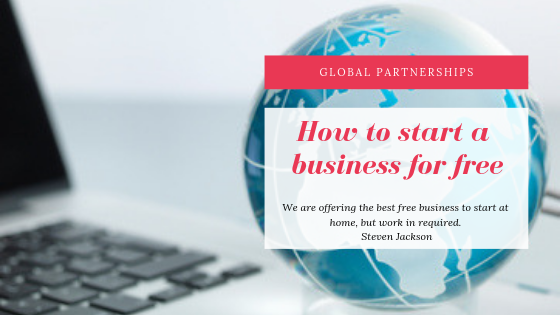 So, when a dear friend of mine mentioned that he had started a new free business to start at home I was skeptical and of course asking the normal skeptical questions. The problem was I had worked with him some years before, so I know his history and his experience in the MLM industry, so there was no reason to doubt what he was saying. What I am trying to say is that he had a track record of seeing the potential in a company. So, finally, I said, “OK send me some information and I will take a look”. The email arrived about 30 minutes later. There was the normal package of information about the products, the business plan and the fact the this opportunity was totally free to join. The products seem to be good and I felt that there was a customer base within my existing business and warm leads list which was large, that would be interested. I felt that even if the products would not interest my prospects the business would and visa versa. I started to feel the excitement when I realized it was one of the fastest growing MLM companies around at the moment, but resided to allow myself to make an objective decision irrespective of how I felt. So, I allowed myself to take my time to browse through the information until I felt that I was making the decision rather than the friendship. I personally do not enjoy working with friends or family, things become to personally, so I was not relishing working with someone I had know for years, unless I could see it benefiting me in a big way. Next I looked at the business plan, it was simple enough for someone new to the industry to understand and powerful enough for the experience network marketer to see the potential for large earnings. This was going to be a tough one, because in some ways I wished that I had not asked, but I said, “making a decision is the key to success”. My wife has been in the MLM industry in the past and luckily knew all the players if not the company, but she trusted our friend and mentioned his integrity which I didn’t feel was in question. Finally, I stepped back for a day for final contemplation which I found really painful, I like to decide things off the cuff rather than hanging it out, but I felt and believed due diligent was needed. The next day I got back to him, with a few more questions which he was happy to answer and finally, I had a clear view of what I was looking at with this business. The tipping point for me was the fact I could start a business for free so the risk was zero. And because I felt like that, I was sure many other would have a similar mindset. A few days later I decided to make a trip to meet up with him, we had not met in person for a while, so he was very happy to see that I was doing well and had been quite successful home business entrepreneur in a few of my last business projects. For the next three or four hours we chatted about the benefits of relationship marketing and how I believed that it was one of the cheapest and fairest ways of starting a business. However, in this case the ability to start a business for free was an added bonus even though many that start a business online free don’t realize that work is required and action must be taken to have even a chance of success. We both agreed that, even though a free opportunity is a good thing, it does bare the question of commitment. Are we more committed to running a business if we have invested 20000 dollars or euros into a business or if we invest nothing? 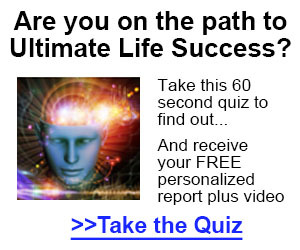 The key to this question and dilemma is to believe that you have invested 20000 dollars or euros even if a home business has a low enrollment fee or in this case nothing. Then take the appropriate action as if you had spent your life savings on your new business venture. Yes, its a tough one, but if we do nothing, nothing happens and in the case of free to join MLM companies it is the same. Once we had put the MLM world to rights, my friend asked me if I wanted to try the products, “I don’t normally hand out samples” he said, “but considering to have traveled all this way”. That evening I went to bed and had one of the best nights sleep I have had for some time. Now I am not over weight or in bad health, I am just a normal geek with a stressful life, like most of us in one why or another. And, that included the enrollment, which was one of the simplest enrollments I have done with a network marketing company, add you details, click join and no payment details needed. What more can you ask from any new beginning in life and business? Since that day, life has been unbelievable, my business has grown globally and financially I am enjoying an almost automated income from my teams in the US, Canada, the UK, Europe and Australia. How do I find out more about this free business to start at home? The steps to starting online business are quite simple. 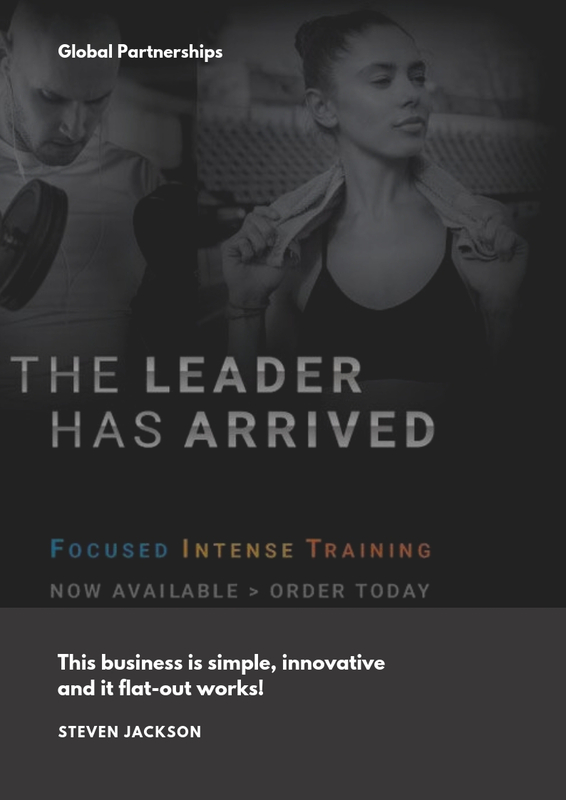 Firstly, click on the learn more button below and receive a overview of the company, products and business opportunity. You are free to say NO! But unless you find out more about what I am offering it will not be possible to make such a decision. For more information about how to start a business for free with this amazing company add your name and email address to the form at the bottom of this page and we will sent you details straight away.